Investors looking to acquire 2015 Silver Eagles may just have a few more weeks to purchase the coins. Investors looking to acquire 2015 Silver Eagles may just have a few more weeks to purchase the coins. If demand for Silver Eagles by the Authorized Dealers and investors remain strong over the next several weeks, we could see a record 47 million of the coins sold this year. It’s out with the old and in with the new. Earlier today, Nov. 24, the United States Mint announced that it would stop producing 2015 American Eagle silver bullion coins by Dec. 11 and that it would begin taking orders for the first 2016-dated issues on Jan. 11. 2015 American Silver Eagles will claim an annual sales record. That should happen by early next week, even as the U.S. Mint limits their sales. The bureau has rationed sales of bullion American Silver Eagles for most of this year as demand has exceeded supply. 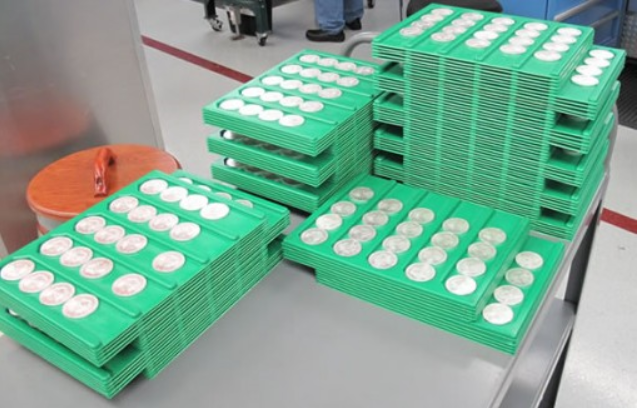 The U.S. Mint has the production capability to produce many more of the one-one, .999 fine silver coins but, like other world mints, it cannot always acquire enough silver planchets. 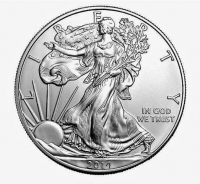 “This is to inform you that the United States Mint will continue to produce 2015-dated American Eagle Silver Bullion Coins through the week of December 7, 2015. Accordingly, we anticipate our last American Eagle Silver Bullion Coin allocation of the year to be on Monday, December 14, 2015. The final allocation is expected to be standard size so please plan accordingly. If we assume the U.S. Mint will provide about 1 Moz of Silver Eagles for the next three weeks, total sales will nearly reach 47 Moz. I would assume sales of the Royal Canadian Mint Silver Maple Leafs will also hit a new record of 30+ Moz. Not only did demand for Global Gold ETF’s decline 2011-2015 (2015 f = forecasted) compared to the previous five years, it went negative by 21.2 Moz. This was in stark contrast to the huge increase in physical gold bar and coin demand of 208.8 Moz during the same time period. Furthermore, we see the same trend taking place in the silver market. Investors purchased a record 994.1 Moz of physical silver bar and coin demand during the 2011-2015 time period compared to a paltry 18.2 Moz build in the world Silver ETFs. When we study the difference in paper gold and silver buying versus physical bar and coin in the past five years… there’s just no comparison. Investors purchased record physical gold and silver bar and coin while staying away from the paper ETF’s with a ten foot pole. Investors continue to wake up to the fact that the collapse of the World’s Great Financial Ponzi Scheme in history is approaching faster then ever. This is why we are experiencing record volume in Gold-Silver Coin & Bar demand.